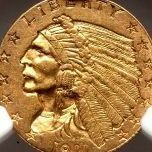 Dealers and collectors interested in profit are flipping them ASAP before they are worth 25 cents again. You can already buy them raw on Ebay for under $20. I check my change though just in case. 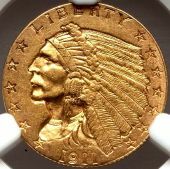 Establish a market value based on recently sold auction prices (not asking prices) for the graded coins and proof coins as a first step. For this exercise you will get a range to show you what is fair. The info is available from a few sources. No one will buy the entire set as a single transaction btw, unless you offer it to a dealer for a fraction of the value. To maximize the return will take time and effort. Good luck with the process. You’ve made quite an impression as a brand new member. If you can’t develop some online etiquette maybe you should not be here. Errors, maybe, ‘damage after strike’ as Condor noted, never. I would return it. You want your best shot for a PF70. 2019 "W" quarters. Your thoughts? I agree. I was referring to participation frequency. There is a seller on Ebay who appears to have 10 of them remaining available for $100 and $139 depending upon the listing (seller has multiple listings). I appreciate the enthusiasm it has created but I think 2M circulated quarters will be worth 25 cents very soon. I'll check my change and maybe get lucky for a flip, or not. There is exponentially higher message board participation ATS, and I find it a bit of a mystery. When I submit coins I do so to our hosts, and they do a ton of coins, and I wish there was more activity here. I appreciate the enthusiasm, but I too think these will be virtually worthless once many are found. We are talking about 2M banged up modern coins in circulation. Is this a good time for buying silver bars? I'd buy at $15. A few years ago I bought 3 kilos, kept the bricks for two years, and then sold them for a 23% profit. Not bad. I have just one holder that is beat up but this is a crime for this coin: I am about to send to NGC for a new holder and then back to CAC.